Holy invasion of privacy, badman! Last Friday's NIS America press event started with President Haru Akenaga apologizing for the localization job on Ar Tonelico II and wrapped with the announcement of several new upcoming games. The Western branch of Nippon Ichi Software is taking a hit with the sagging economy, Akenaga said. Worse, he added, a lot of Japanese companies are restricting corporate travel right before E3 on account of swine flu concerns. Last Rebellion and A Witch's Tale will be playable at E3. 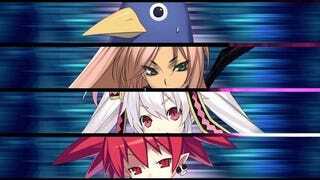 Additionally, Disgaea chief programmer Yoshitsuna Kobayashi announced that he'd tentatively be releasing his own game this year from his new self-named studio. Kobayashi said that his game won't focus so much on graphics as much as it will on gameplay and that he hopes to have something to show off soon.